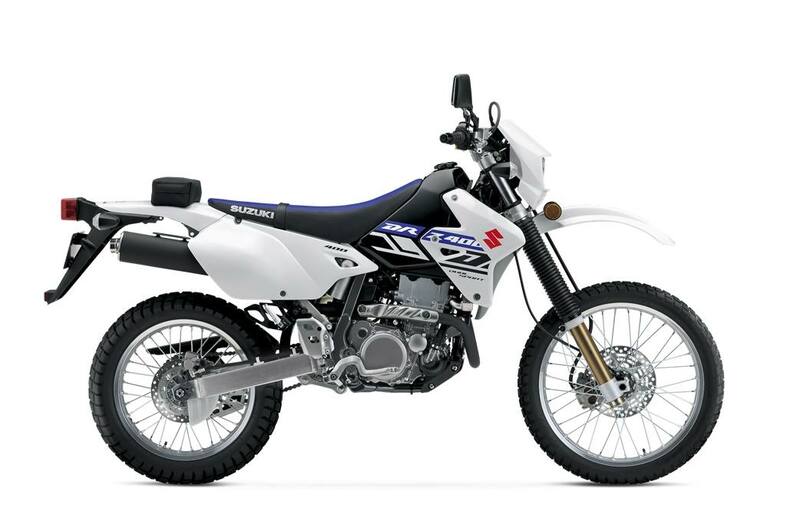 The 2019 DR-Z400S is the latest version of the motorcycle that's the foundation of the modern DualSport movement. 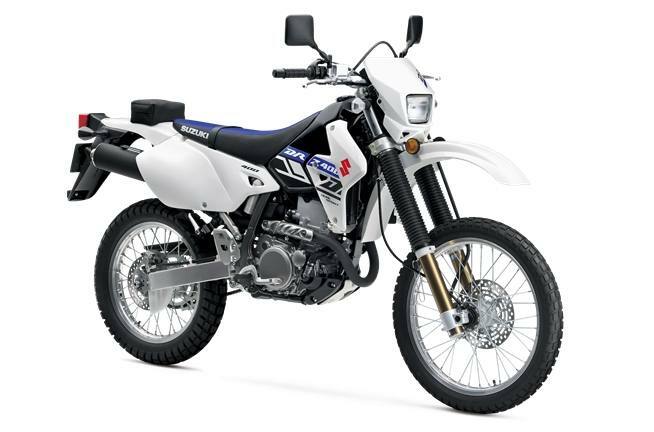 Starting with the DR350S and then again with the DR-Z400S, Suzuki made fun, reliable, and capable motorcycles available to anyone who's ready to take a ride down their favorite off-road trail or ribbon of asphalt. A compact design, 398cc, DOHC, liquid-cooled, dry-sump engine produces strong low-rpm power. Its compact, four-valve cylinder head features large 36mm intake valves and 29mm exhaust valves to help produce broad, tractable power and torque that's ready for any terrain. Magnesium-alloy clutch, magneto, and head covers contribute to the bike's low weight. Spoke-style 21-inch front and 18-inch rear wheels with aluminum rims are fitted with Dunlop D208 dual-purpose tires. The wheels are sized perfectly to accept popular dual sport tires. Sure stopping power is supplied by a 250mm front disc with a dual-piston caliper and a 220mm rear disc brake with a single-piston caliper. A pouch on the rear fender carries the tool kit and owner's manual. 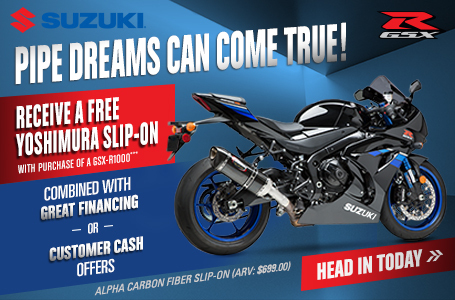 Genuine Suzuki Accessories include a low-profile seat, cargo rack, handguard set, and more. Extensions: *Longer coverage periods with other benefits available through Suzuki Extended Protection (SEP). 12-month unlimited mileage limited warranty.